Benefit from high quality training in all aspects of hospital central service, materiel management and instrument processing procedures. Your Hospital Central Service Technician training covers both classroom education and supervised clinical experience, fully preparing you to successfully take the Certified Central Service Technician Examination. Gain skills to work diligently in providing the instruments, supplies, and equipment necessary to achieve quality patient care. 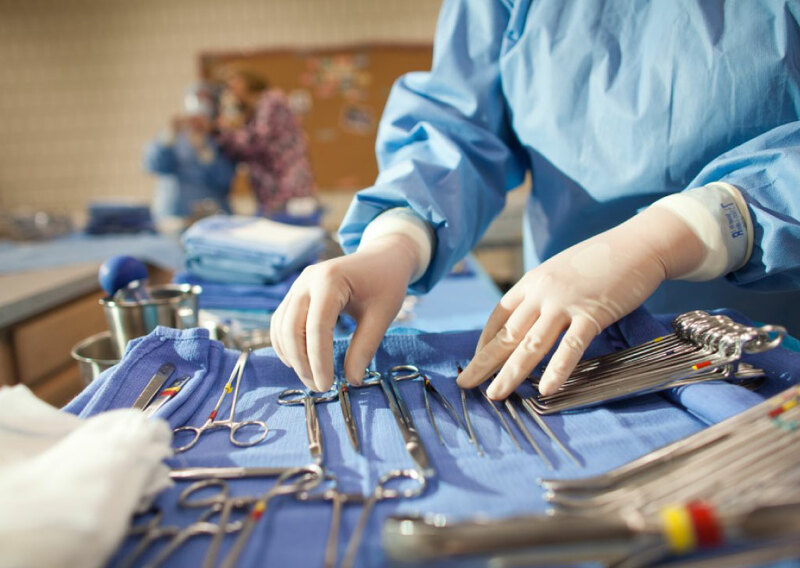 You will develop expertise to decontaminate, assemble, inspect and sterilize today’s most advanced medical equipment, used in surgical procedures across the country. Secure a fulfilling career as an entry-level hospital central service and instrument processing technician with a hospital or surgery center. Your education and training foundation will help you keep pace with healthcare advancements, adhering to complex protocols to ensure each piece of equipment is prepared exactly to specifications. Healthcare experts agree: central service professionals are increasingly imperative to patient care. As a Hospital Central Service Student and graduate of Premiere Career College, you will benefit from our Career Development and Placement Assistance Services. Our Career Development staff serves as a liaison between you and the medical community, and job search information and techniques are provided based on the current market needs. Throughout the Hospital Central Service Technician program, you will receive instructions and insights on everything from résumé preparation to market research techniques to interviewing skills. Premiere Career College also offers helpful reference sources to assist you in locating firms and geographic areas offering hospital central service technician employment opportunities, locally and nationally. To begin the enrollment procedure at Premiere Career College, you will be asked to fill out an application form designed to ascertain your educational and occupational background. You will then be interviewed, and given a guided tour of our facility and a detailed presentation of the Hospital Central Service Technician program. If you are deemed qualified you will also be given a timed admission test. Take the first step to your new Hospital Central Service Technician career.